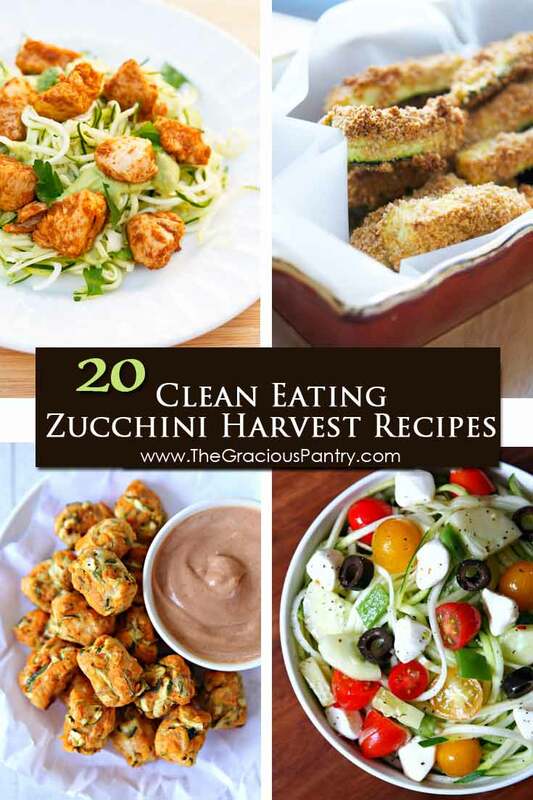 Today I’ve got 20 clean eating zucchini harvest recipes for you. It’s that time of year where zucchini is prolific! And if you’re not careful, it’s easy to have some of them go bad if you don’t preserve them in some way such as freezing. But if you don’t want to stuff your freezer with zucchini, another option is to eat it! So today I’ve got a few idea for you so you can eat them before they go to waste. One thing I’ve done in the past is put a bunch in a basket, print out some recipes, and deliver them as a housewarming gift or a gift for a different occasion. They are always appreciated.